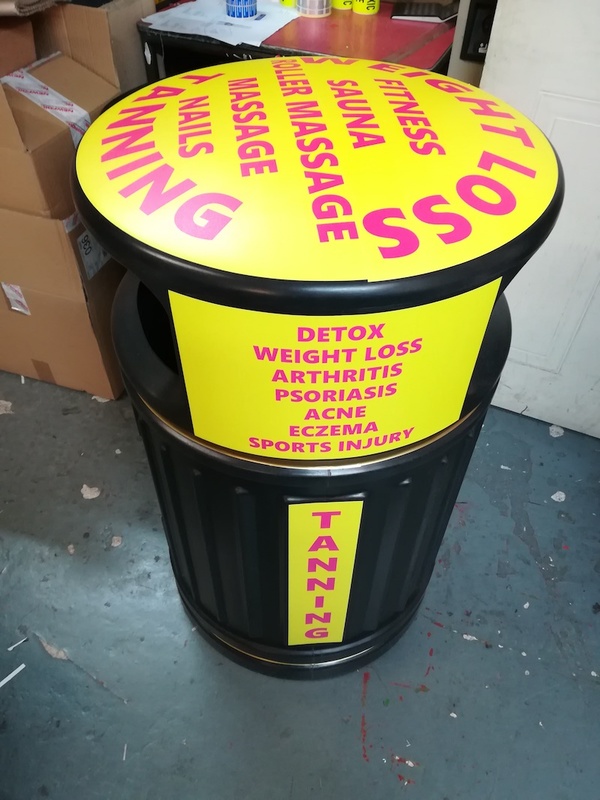 If you need printed self adhesive vinyl then we are the printers to call as we can supply this to you without the costs of application. 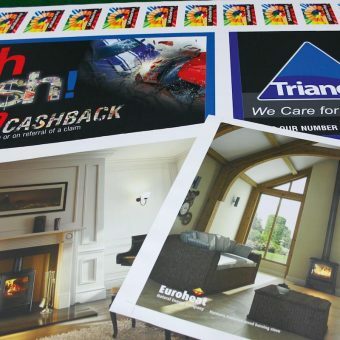 So if you need one printed piece or a few give us a call. 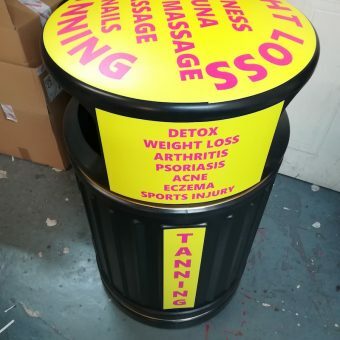 Self Adhesive vinyl is also called sticky back vinyl and is exactly as you expect, a printed vinyl which has a sticky back and can stick to non porous flat surfaces. 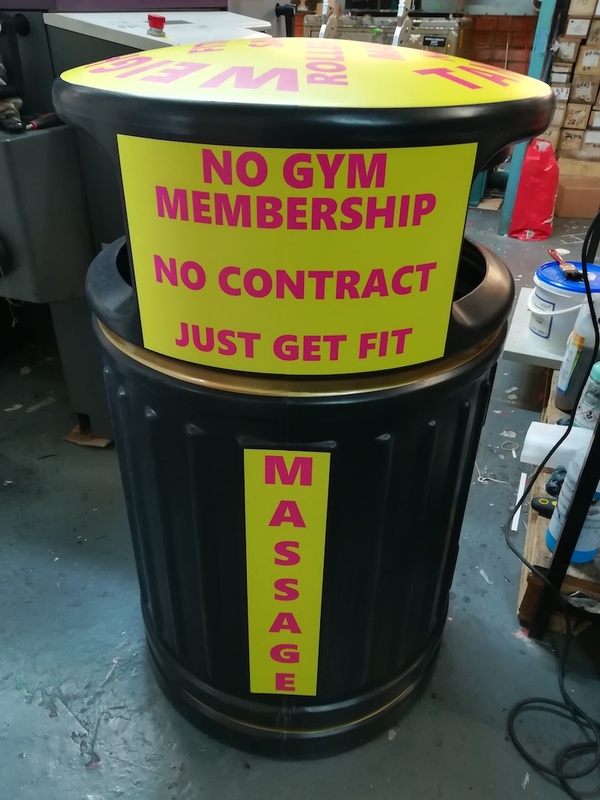 Our vinyl is printed with fade proof uv based inks on 140gsm and suitable for both indoor and outdoor use. 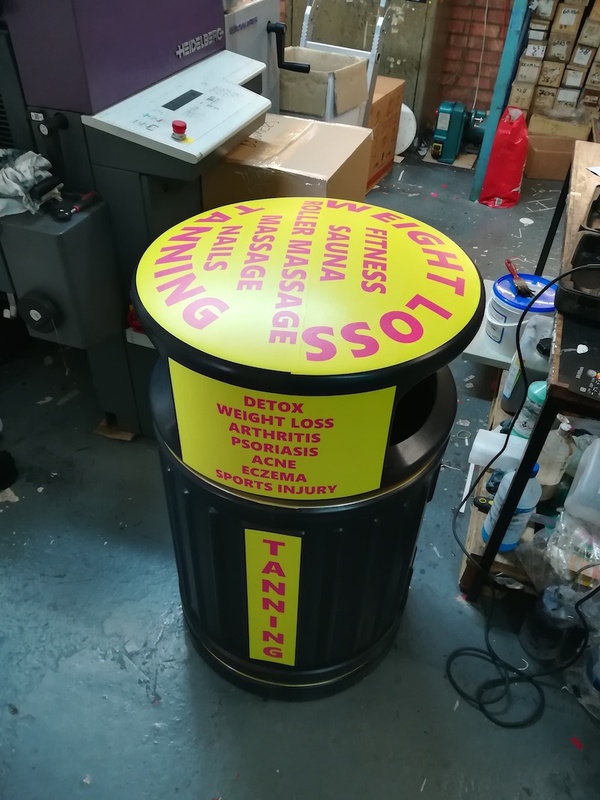 It can be used for window displays, for adding graphics onto flat surfaces and can also be used on cars and vans but not suitable for wrapping. 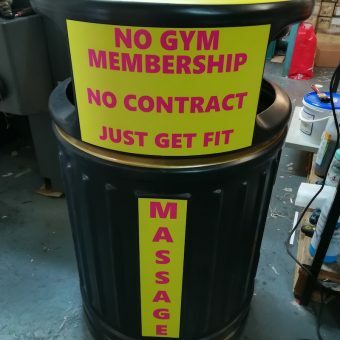 We can trim these to size or cut to a specific shape for you. 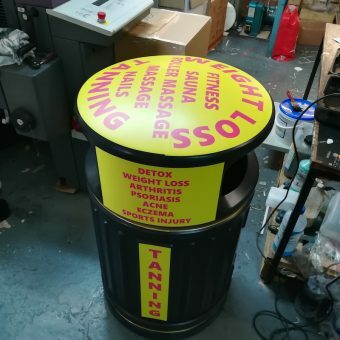 When applying the vinyl please ensure all surfaces are clean of any dirt or grease. We would advise you testing your surface in advance and can provide a sample for you to check compatibility. 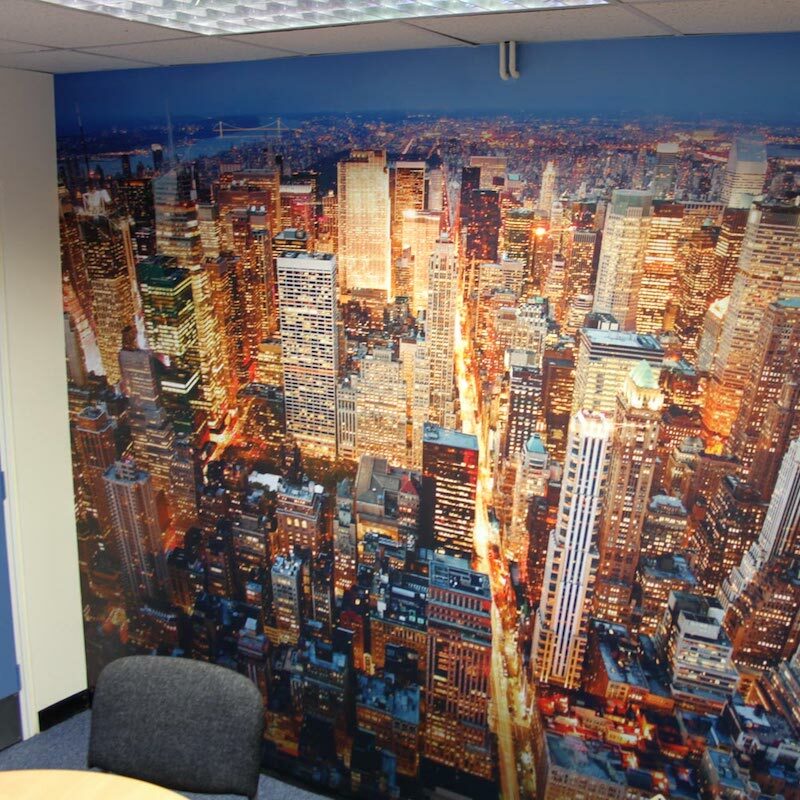 We have two options of printed wallpaper, a pasteable wallpaper or a self adhesive fabric wallpaper. 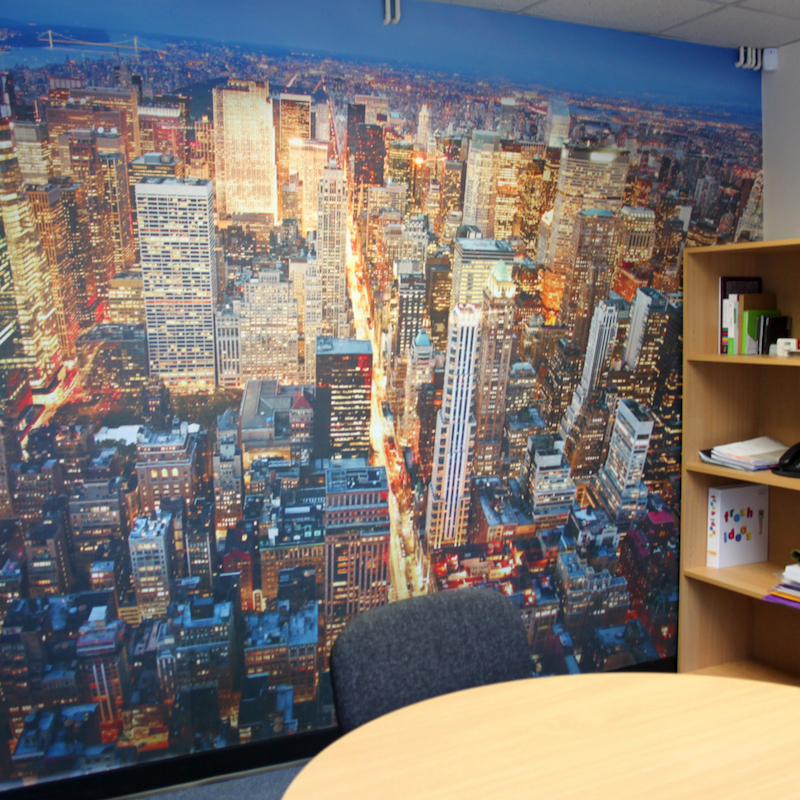 Digitally printed wallpaper is a great way of decorating reception areas, business meeting rooms, offices, exhibitions, restaurants, bars, lounges, hotels and even bedrooms to add that unique look. 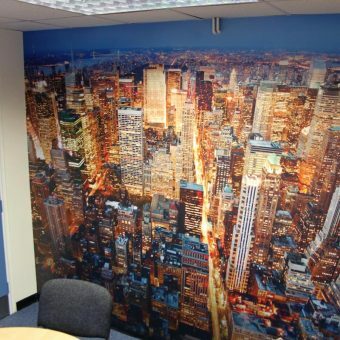 This is a lightly embossed pvc topcoat wallpaper which is environment friendly, easy to apply and remove and printed full colour with flame retardant uv inks. 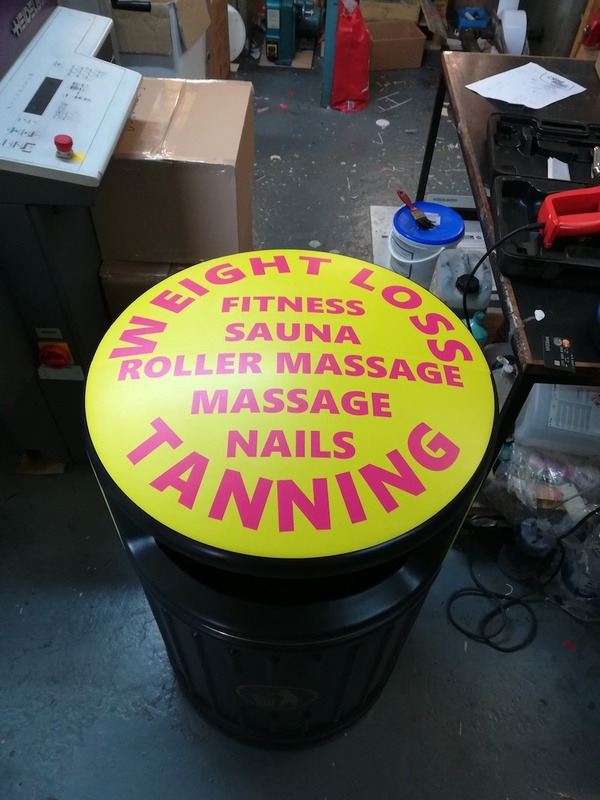 Minimum order for this is £50 and the roll width is 1,370mm. We would advise producing your artwork in 610mm or 1300mm wide drops otherwise wastage charges may apply. This is a 310gsm polyester woven fabric material with a removable adhesive. It sticks to any non porous smooth surfaces and is easy to apply and remove. This is also printed full colour with flame retardant uv inks. 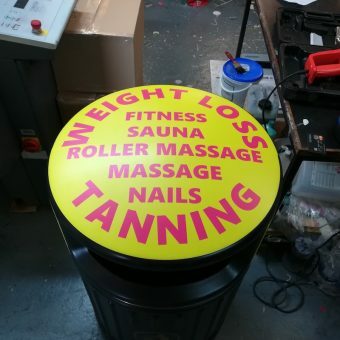 Minimum order for this is £50 and the roll width is 1,070mm. We would advise producing your artwork in 490mm or 1000mm wide drops otherwise wastage charges may apply.